Descriptions of the cockfights and La Caponera’s mariachi band evoke aspects of Mexico’s particular, vibrant culture, but as Weatherford points out in his introduction, there is a timelessness and geographical homogeneity that infuses all of Rulfo’s writing, allowing him to capture a universal quality that speaks to readers across generations and across borders. “The Golden Cockerel” is as much a story of the destructive force of greed as it is a story of generational inheritance and the pains and destinies that we inherit. The restless wanderings of La Caponera, for example, are explained in the end by the fate of her daughter, Bernarda Pinzón, who shares not only her mother’s name, but also her talent for singing and her inclination to wander: “[S]he performed just as her mother had done in her earliest moments, singing songs bursting with her own sense of abandonment” (104). Generational trauma, though not treated politically in “The Golden Cockerel,” cannot be divorced from historical, political, and geographical contexts. Weatherford suggests that the economic conditions in these stories convey a setting in post-Revolutionary Mexico. But looking outside of “The Golden Cockerel” itself to the other writings in the collection also provides another way for readers to reflect on just how Rulfo situated his stories within the broader arcs of history and conflict. For instance, although in his fiction, we see little mention of colonialism, there is a brief allusion to Spanish colonialism in “Castillo de Teayo.” The story is a nonfiction travel narrative that recounts Rulfo and his companion’s adventures at Castillo de Teayo, where a guide who seems to materialize out of the jungle leads the pair on an unsolicited tour of the ruins. As the tour draws to a close, the guide says, “The ones who put an end to the gods of Teayo were those who were called a ‘people of reason’ and they conquered these lands…” Rulfo’s retelling relegates the colonial power to a secondary position, effectively diminishing that power. By choosing not to burden his stories and characters with evocations of a colonial past nor the politically unstable present, Rulfo reclaims the narrative focus for those he saw as the most deserving of our readerly attention: the common people. 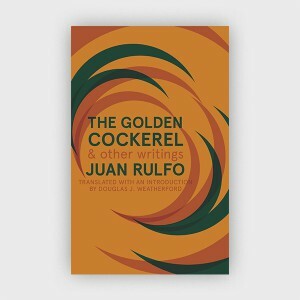 For readers both familiar and unfamiliar with Juan Rulfo’s writings, the publication of The Golden Cockerel & Other Writings marks a momentous occasion. Published in anticipation of the one hundredth anniversary of the author’s birthday, The Golden Cockerel brings to light many works that have been translated into English for the first time. 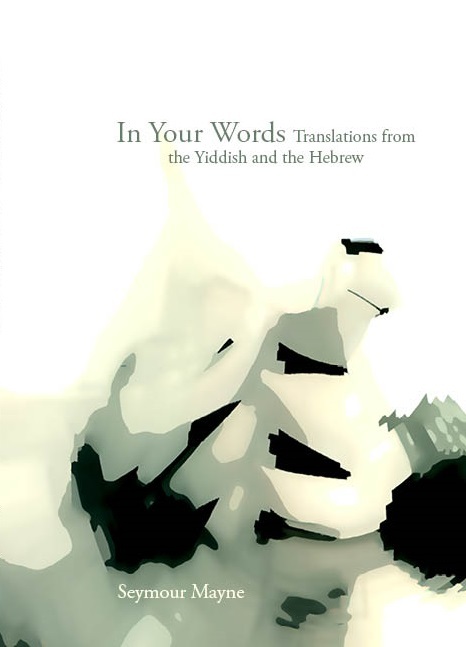 In Your Words: Translations from the Yiddish and the Hebrew edited and translated by Seymour Mayne, Ronald P. Frye & Co.
How could an anthology of poetry in translation be “personal”? Seymour Mayne’s In Your Words: Translations from the Yiddish and the Hebrew, introduced in the preface as a “personal anthology” is not so much personal in the sense of Jerome Rothenberg or Charles Bernstein’s “writing-throughs”—semi-improvised translations or variations based on another poet’s work—but more in the sense that the juxtaposition of the featured writers make up a mosaic of intimately personal preferences. 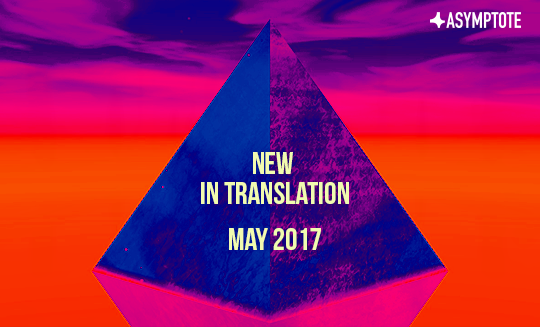 The dictions, tones, locales, and themes ultimately amount to an allusive yet pregnant self-portrayal of the editor-translator himself. There is indeed a deep biographical connection between the selected poets and the editor. All Yiddish writers in the anthology, for instance, hailed from Eastern Europe like Seymour Mayne’s parents, and all but one eventually settled in Montréal (the young Mayne met the one poet who hadn’t at a reading at the Montréal Jewish Public Library), a city whose cultural-literary milieu the translator so vividly describes in his preface. from the roads and fields. in the new summer’s sun. The stylistic range of pain and suffering is impressively wide, which is an accomplishment for a 100-page collection featuring only 8 poets. grabbed the herring with pleasure. gave his head such a jolt. slid punctured into a pit. Mayne is then a truly refined arranger, for in order to hit such a paroxysmic note, he spans forty-odd pages of subtle crescendos, progressions, and counterpoints skillfully selected from a handful of otherwise stylistically diverse poets: from Rachel Korn’s obsession with silence to Michel Ravitch’s disconsolate tone, to Segal’s imagery and atmospherics. Just as Sutzkever dominates the Yiddish section, Moshe Dor is the towering figure of the Hebrew chapter, closely followed by Shlomo Vinner, an impressive poet-mathematician who, like most of the selected authors and the translator himself, has been going back and forth between Israel and Canada and the US his whole life, both physically and literarily. Moshe Dor for one is a patriarchal figure of Israeli poetry, the leader of the Likrat group—to which the better-known (in the English-speaking world) Yehuda Amichai also belonged. And indeed, Amichai’s obsessive themes—love in time of war (and at war), agnostic mysticism, modern Israel versus its ancient myths and traditions, life as diasporic condition, etc—are all masterfully handled by Dor as well, only perhaps with a less incisive tackling but consequently with subtler refinement and richer connotations. The whole Hebrew section is actually more “modern” than the Yiddish one, with cityscapes and urban developments intermixed with Torah references and obsolete ritualistic diction. Mayne has done a remarkable job rendering these incongruences both faithfully and fluently into English. But what the translator has done perhaps most remarkably is offering some really rare gems to the English reader, from writers and/or writings that are otherwise very hard if not virtually impossible to find anywhere in translation. Even with a star like Moshe Dor, his latest English translation came out in 1996, and with J.I. Segal, there are apparently only one or two old translations available in French. And that’s still something, since if one wants to find out more about an Israeli poet such as Eytan Eytan, they will most likely find absolutely nothing beyond the one poem and the bio in this anthology—stating he was a poet who was “born in 1940 in the village of Kinneret where he worked as an organic farmer until his death in 1991”—neither on the internet, nor in any (North American) library. President Trump’s election, and the travel ban that followed closely on its heels, has coincided with—and in some cases prompted—a surge in the literature of exile, some of which we’ve had the privilege of showcasing here at Asymptote. Stories of exile are often known (and loved) for their bleak beauty: through them, readers who enjoy more rooted lives can learn the truths of anxiety and loss with first-hand clarity, especially in the most raw and masterful cases. For nearly a century, Teffi’s piercing memoir has stood at some distance from this tradition. Laced with the irrepressible humour that made her one of revolutionary Russia’s most feted satirists, the text follows with bracing honesty her journey from Moscow (where there is ‘no possibility of anything’) through Ukraine to the coast of the Black Sea, finally leaving her country behind. Released for the first time in a paperback English translation by the London-based Pushkin Press, this uplifting work can now speak all the more directly to us and to our time. An incisive introduction by Edythe Haber, one of Teffi’s present-day biographers, sets the scene. Born into the old St Petersburg elite, Nadezhda Alexandrovna Lokhvitskaya began writing satirical verse in her twenties under a pseudonym that soon become a household name. As her feuilletons and lyrics gained acclaim, she rode—and doubtless contributed to—a rising ‘demand for laughter’ in high and low literary circles, noting in 1910 that people were ‘longing for a good merry comedy’. By 1918, however, her witty contempt for Lenin had placed her, and sympathetic newspapers, on the wrong side of the new régime. Following the arrest and interrogation of an actress who staged a performance of her work, Teffi set off on a ‘reading tour’ from which she would never return. Here is where the narrative begins, and across thirty-one brief chapters, we are never far from the tragicomic trials that Teffi and her companions face. 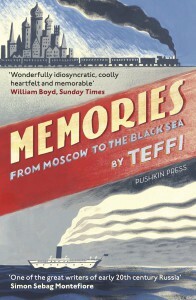 From the ins and outs of life in Odessa (‘hardly a city’, as she describes it, ‘more like one long laugh!’), to the way a bout of Spanish influenza unexpectedly turns the author’s room into a popular rendezvous point, Teffi maintains her blunt appraisal of each predicament with self-deprecating grace. The vignettes are handled seamlessly in this translation by Anne Marie Jackson, Irina Steinberg, and Robert and Elizabeth Chandler, and thus allowed to breathe as standalone episodes without losing the overall momentum of Teffi’s journey. Such moments of strength not only make up the ‘living soul’ of the book, but transform a set of recollections into an unputdownable read—and make it, in our present climate, a deeply essential one.